Working in the field of childhood cancer for nearly 20 years, I have seen many success stories but I have also unfortunately seen children and adolescents not survive their battle with cancer. I, with many others, am working to improve therapies to increase the survival even further. To cure all children and adolescents diagnosed with cancer and for them to have no long-lasting toxicities of the therapy that achieved the cure. Dr Alvaro has worked in the field of childhood cancer for many years. He strongly believes that improvements in survival of childhood cancer over many years have been a direct result of clinical research and collaboration with other researchers, not only in Australia but from around the world. New improvements in treatment need to be translated to the clinical areas as fast as possible and this is only possible by international collaboration. Many patients within the area have benefited from this rapid translation to the clinic. Ongoing studies in leukaemia, brain tumours and sarcomas continue to improve treatments, not only the survival but a reduction in the toxicities of the therapies required to cure children with cancer. A large focus of Dr Alvaro's research is to reduce the length of time that patients need to remain in hospital both for their therapy and also due to infections that unfortunately are very common in the treatment. 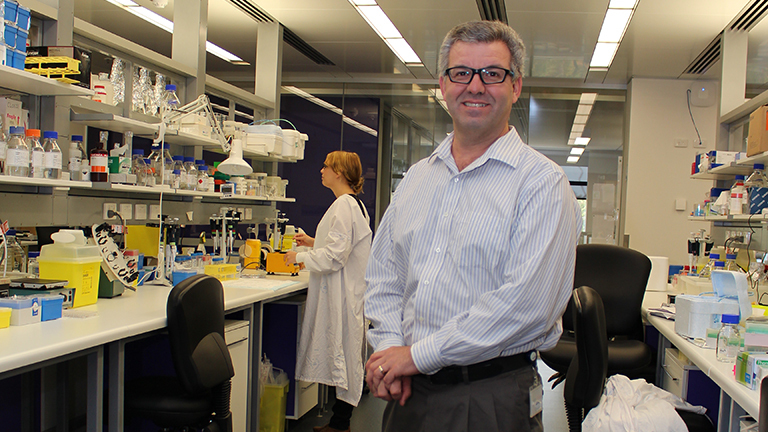 Dr Alvaro has published a number of papers in peer reviewed publications in many aspects of treatment of childhood cancer, is a member of the Australian and New Zealand Children's Haematology Oncology Group (ANZCHOG), Australian Children's Cancer Trials (ACCT) and the Children's oncology Group (COG).